The bloody history of you and your party for the struggle for Six Points clearly proved that the economic demands of six points can be achieved through armed struggle and making East Bengal independent by separating and freeing it from Pakistan. Seventy million people of East Bengal have voted you and your party to end the colonial rule and exploitation of non-Bengali ruling regime of Pakistan over East Bengal and establish independent and sovereign Republic of East Bengal. 1) As elected representative of East Bengal people and the leader of the majority of the national assembly, declare establishment of independent, democratic, peaceful, non-aligned, progressive Democratic Republic of East Bengal. 2) Establish provisional government of independent, democratic, peaceful, non-aligned, progressive Republic of East Bengal by the East Bengal workers-peasants and the representatives of open and underground patriotic political parties and individuals of East Bengal. If necessary, transfer the Headquarters of that government to a neutral country. 3) Call for an armed national liberation war against the Pakistan colonial ruling regime to establish that government throughout the whole East Bengal. With this aim, call for formation of National Liberation Army of East Bengal, national enemy annihilation in cities and countryside and smash their establishments. 4) In order to carry national liberation struggle of East Bengal, form “National Liberation Council” or “National Liberation Front” by the workers-peasants and the representatives of open and underground patriotic political parties and individuals of East Bengal. 5) Make call to East Bengal people to struggle in open and underground, peaceful and armed, reformist and revolutionary methods. a) To completely overthrow the Pakistan colonial ruling regime and to nationalize all their properties in East Bengal. To end all the exploitation and unequal treaties of the colonial government. To nationalize the properties of its lackeys and give capital punishment to those who are the most hated among them. b) To revoke all the civil rights of the national traitors of East Bengal. To form national government of workers, peasants and patriots on the basis of general public electoral right. c) To end the land exploitation by the colonial government in rural areas and to distribute the government Khas lands and the lands and properties of the traitor zamindars and Jotedars (Zamindars are the bigger feudal landlords while Jotedars are the smaller feudal landlords—Sarbahara Path) and other national traitors to the landless and poor peasants. To lessen the exploitation of patriot zamindars and Jotedars. d) To support the struggles of workers to establish eight hour working day, trade union rights and just demands. e) To nationalize major industries, financial institutions and communication systems. f) To meet the just demands of students, teachers and intellectuals. g) To provide equal right to the religious, lingual and tribal minorities in all levels. h) To provide equal development to various regions of East Bengal that are under unequal development. i) To provide systematic control of flood, cyclone, storm surge, drought, insect and famine. j) To provide systematic development of national culture, art, education, research, games and physical exercise. k) To establish foreign policy of peaceful coexistence on the basis of the five principles. 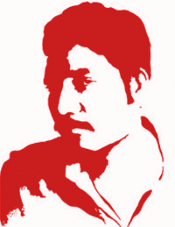 l) To support the struggle for national liberation and social progress in different countries. m) To make caution against the activities of US imperialism in East Bengal. Two paths are open to the East Bengal people. Either to surrender to the bayonet and bullet of Yahya-Yakub and accept colonial rule and exploitation for an uncertain period of time or to start armed national liberation war. The People of East Bengal have proved with their blood that nothing is more beloved to them than freedom. On the basis of the above mentioned proposals, you and your party must reflect these aspirations of people. Otherwise, the people of East Bengal will never forgive you and Awami League. ♦ Long live the independence of East Bengal! ♦ Long live the Democratic Republic of East Bengal! ♦Smash the Pakistan colonial ruling regime and their lackeys! ♦ Initiate national war of independence in cities and countryside!